One of the South's best vacation destinations, Hilton Head Island offers unparalleled luxury in a beautiful Carolinian setting. 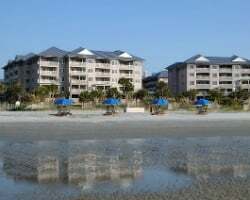 Marriott's Grande Ocean brings the best in Hilton Head accommodations, and you can find the best timeshare resale and rental units at the best prices with SellMyTimeshareNow.com. Tucked away along the marshes and towering willows is Marriott's Grande Ocean, one of Hilton Head Island's most acclaimed resorts. Simply walking through the doors results in a master class on how to provide exemplary accommodations in a beautiful setting. Luxury villas spread along an opulent Carolina beach lets every single guest know that they've arrived at vacation. From the oceanside location in Forest Beach to the two large swimming pools contained within the resort's grounds, you'll have everything you could possibly need to escape the daily grind. 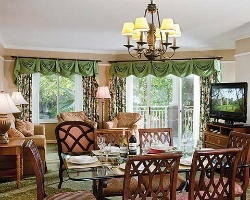 This Hilton Head Marriott resort is comprised of two bedroom villas that are perfect for families and small groups. Most are close to the beach and provide views of the water, and consist of patios or balconies for you to truly take in the subtropical sun. With all that and more waiting for you, the time to unlock better vacations is here. SellMyTimeshareNow.com can help you find affordable ownership options at the Marriott Grande Ocean today. Fill out the form on this page, or call 1-877-815-4227 today to speak with a representative. Purchasing a Marriott Grande Ocean timeshare on the resale market can help you visit Hilton Head Island affordably year after year. However, there is more than just yearly accommodations on the line. A timeshare resale at the resort could also be your ticket into the Marriott Vacation Club, one of the world's most popular timeshare ownership programs. Your timeshare resale could also lead to exclusive bonuses, exchange options, and other accommodations all around the globe. Timeshare resales at the Grande Ocean are available in deeded or floating weeks, allowing you to find a timeshare that fits your vacation preferences. Vacation ownership units at the resort fall into Marriott's Bronze, Silver, Gold, and Platinum seasons, giving you many different price points to consider when purchasing on the resale market. Buying a Grande Ocean resale will result in virtually direct access to the Marriott Vacation Club, since the brand has relatively few restrictions. Your Marriott week at the Hilton Head Grande Ocean will allow you to book accommodations there every year, however, you may also choose to upgrade into the Marriott Vacation Club Destinations program. This will enable you to use Marriott points to reserve at other Marriott resorts around the globe. As a Marriott Vacation Club resort, the Marriott Grande Ocean is affiliated with Interval International, the world's second-largest timeshare exchange company. As a resale owner, you'll be able to deposit your Marriott week with Interval, and use it to explore other resorts all around the world. You'll need to purchase a separate membership, but doing so can also give you access to extras like cruises, discounted airfare, and more. Finally, the Grande Ocean is an Interval International Elite Resort, meaning you'll be able to exchange for other top-quality resorts in the Interval catalogue. This Hilton Head Island Marriott resort comes fully equipped with enough on-site services and amenities to make your trip complete. With a heated indoor and outdoor pool, whirlpool spas, and a fitness center, the Grande Ocean has recreational amenities covered from top to bottom. 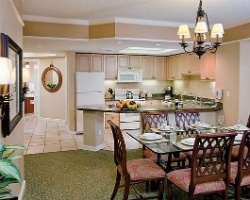 Head outside to hit the on-site tennis courts, or simply walk a few minutes to the beach. For dining, you'll have the option of the Dolphin Grille or the pool bar, which serves snacks and cocktails. The area of Hilton Head Island is yours to discover. The Grande Ocean puts you just minutes from the famous Coligny Beach, one of the state's best spots for swimming and sunbathing. You'll find three of Hilton Head Island's fantastic golf courses under ten miles away, perfect for golf fanatics. Lovers of the outdoors will enjoy exploring the resort's surroundings, with sailing, kayaking, deep sea fishing, and biking trails all within five miles. Finish up your trip by paying a visit to Harbour Town Marina for one-of-a-kind shopping and dining. Already Own at Marriott's Grande Ocean?